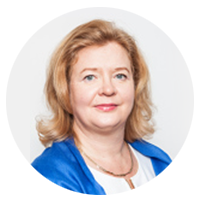 Salla Saastamoinen started as Director for Civil and Commercial Justice at the European Commission’s Directorate-General for Justice and Consumers in October 2016. Previously she was the Director for Equality as from 2014. As Director for Civil and Commercial Justice, she is in charge of the development and consolidation of the European area of civil justice, in particular of civil procedural law, private international law, contract law and company law. Salla Saastamoinen has worked in the Commission for 20 years, starting in the Directorate-General for Environment and then working in several areas in the Directorate-General for Justice. 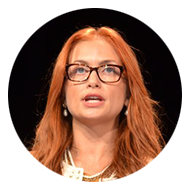 Before joining the Commission, Salla Saastamoinen was an associate partner in a law office in Helsinki, Finland. She has a licentiate degree in law from the University of Helsinki, Finland, and post-graduate studies in law from the universities of Saarbrücken, Germany, and Zürich, Switzerland. 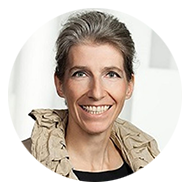 Christiane Wendehorst is Professor of Law at the University of Vienna (Austria). She is a member of the American Law Institute, the Academia Europea, the Austrian Academy of Sciences, the International Academy of Comparative Law and several international research groups. 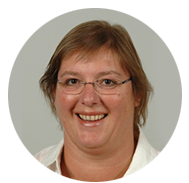 Prof. Wendehorst is one of the Founding Members of the ELI and has previously served as Treasurer and Vice-President. Marius Kohler is the President of the Council of the Notariats of the European Union (CNUE) and since 2011 notary in Hamburg. He studied law at the Universities of Freiburg and Harvard. After his studies, he worked as research assistant at the Max Planck Institute for Foreign and International Criminal Law in Freiburg and the Institute for German and Foreign Civil Procedure Law at the University of Freiburg. 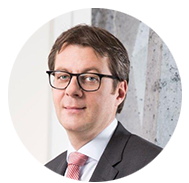 After passing the Bar Exam at the Supreme Court of New York and working as a lawyer for the law firm GLEISS LUTZ in Stuttgart and Frankfurt, he was appointed notarial candidate in 2006. In 2007, he headed the department “notarial professional law” of the Federal Chamber of Civil Law Notaries (Bundesnotarkammer) and became its press spokesman afterwards. Between October 2007 and December 2010, he was the Head of Office of the Permanent Representation of the Bundesnotarkammer in Brussels before being appointed Director of the Bundesnotarkammer in March 2008. Ever since, Mr. Kohler has been deeply committed to the concerns of the German notariat and is active in various working groups of the Bundesnotarkammer, the CNUE, and the UINL (International Union of Notaries). Julie Mouty-Tardieu has been Conseiller référendaire at the Court of Cassation (Paris) since 2012. She specialises in family property law matters. A magistrate since 1999, she has mainly held civil positions in several major cities. She teaches at the French Ecole Nationale de la Magistrature, particularly in European law. Prof. Ilaria Viarengo, J.D., is Full Professor of International Law at the University of Milan (Università degli Studi di Milano), appointed for courses in EU Private International Law and International Human Rights Law; Director of the Department of International Legal Historical-Political Studies (University of Milan); Member of the Board of the PhD in International Law of the University of Milan; coordinator of the Civil Justice – Action Grant 2014 – JUST/2014/JCOO/AG/CIVI – Planning the future of cross-border families: a path through coordination – “EUFam’s”, and member of several other European projects co-funded by the European Commission; numerous publications in Italian, English and German, specifically in Private International Law and European Union Law, with the majority pertaining to International and EU Family Law issues; Lawyer specialised in Private International Family Law. 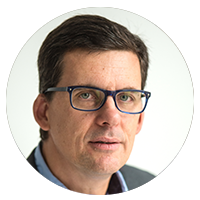 Patrick Wautelet is a Professor at the Law School of Université de Liège (Belgium), where his teaching and scholarship focuses on legal aspects of cross-border situations with a strong emphasis on cross-border family relationships and nationality law. In recent years, his scholarship has focused mainly on family issues (including family assets) arising out of the increasing cross-border mobility of citizens. After having obtained a JD (1996) and a PhD (2002) at the University of Leuven, he was a visiting researcher at the Univeersity of Illinois and at Harvard Law School (1999-2000). He has been an attorney with a large firm in Brussels for 7 years. He worked at the Hague Conference for Private International Law as a stagiaire and recording secretary and was a visiting professor in Russia (MGIMO), Burundi and France (EDHEC Business School). He is the author or (co-)editor of several books and of many papers and contributions, focusing on cross-border relationships, with a strong emphasis on post-migration situations analyzed from the angle of family relationships and (acquisition and loss of) citizenship. A full list of publications is available at http://orbi.ulg.ac.be/ph-search?uid=u192986. Selected publications are available online at http://ssrn.com/author=447577. Pedro Carrión García de Parada is a Spanish notary in Madrid. Since 1992, he has been a delegate of the international section of the Spanish notariat and Chair of the Matrimonial Property Regimes – Family Law working group of the Council of the Notariats of the European Union since 2005. General Advisor of the UINL since 2010, he was President of the UINL’s intercontinental commission “Themes and Congresses Commission” from 2013 to 2016. He is currently Secretary of the UINL for the 2017-2019 legislature. 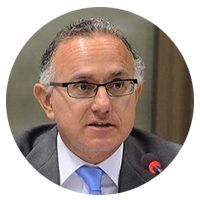 Pedro Carrión García de Parada has been coordinator, rapporteur and participant in various committees, working groups, round tables, sessions and conferences dealing with topical issues at European level concerning family law, in particular the drafts and texts of European regulations on matrimonial property regimes and the property consequences of registered partnerships. 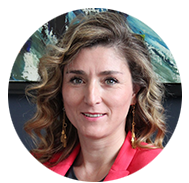 Cristina González Beilfuss is a Full Professor of Private International Law at the University of Barcelona (Spain). She has published extensively in the field and acts as an expert for the Hague Conference on Private International Law in the field of international family agreements and parentage. 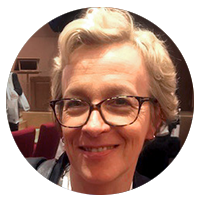 She is a fellow of the European Law Institute, an Associate Member of the International Academy of Comparative Law and a member of the Organising Committee of the Commission on European Family Law that drafts the European Principles on Family Law. From 2011 to 2017 she was seconded to the General Council for the Judiciary in Spain and closely cooperated with the European Judicial Training Network (EJTN). She also acted as a national contact point in the European Judicial Network (EJN). In 2018 she gave a special course on “Party Autonomy in International Family Law” at the Academy of International Law in The Hague. Paolo Pasqualis, born in 1956, graduated in law from Padua University in 1980, is a civil law notary since 1985. President of the Council of the Notariats of the European Union (CNUE) in 2016. He has been a member of numerous international notarial institutions, working groups and commissions, and among them: the General Council of the International Union of Notaries (UINL), the Commission of European Affairs of the same UINL, member of different commissions and working groups and General Rapporteur of the 1st Congress of the Council of the Notariats of the European Union (CNUE), Chair of the Commission of European Studies of the Italian Consiglio Nazionale del Notariato and Vice-President (2001-2004) of the Italian Consiglio Nazionale del Notariato. 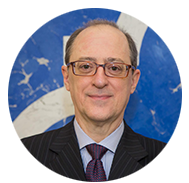 Since its creation in 1993, he has been co-director of the School of Notariat in Padua, dedicated to training candidates for the exam to enter the notarial profession. He has published numerous studies, especially dedicated to the subject of the international free movement of authentic instruments. Raul-Mihai RĂDOI, born in 1977 in Timisoara, Romania, has been Secretray General of the Council of the Notariats of the European Union (CNUE) since 1 January 2016. Between 2007 and 2015, he was Adviser on EU affairs and representative in Brussels of the National Union of Civil Law Notaries of Romania, where between 2012-2016 he coordinated the European Notarial Network. From 2003 until 2007, he worked as a diplomat and counsellor on EU affairs at the Ministry of Foreign Affairs, where he contributed to the preparation of his country’s accession to the European Union. 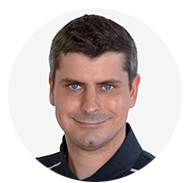 He holds two University degrees in Law and in Polictical Science (European Studies) from the University of Cluj and obtained a Master’s Degree in Political Science (German Studies) in 2003. He also holds a postgraduate diploma from the Diplomatic Academy of Vienna 38th Promotion “Bertha von Suttner”. He is a member of the ERA Board of Trustees and of the European Commission’s working group on Judicial training. Has worked in the notariat since October 1999. Prof. Barbara Reinhartz used to be Professor of Notarial Law at the University of Amsterdam. Since last year she is Professor of Family Law, in particular Family Property Law at the University of Amsterdam. She teaches family law, matrimonial property law and succession law at the university. She is co-author of several books and loose-leaf editions on International and Dutch matrimonial property law and succession law. Prof. Reinhartz was a member of the expert groups to the European Commission on international succession law and international matrimonial property law and the property consequences of registered partnerships. With some other members of those groups she wrote a commentary on the EU Regulation on succession (2015) and the EU Regulations on matrimonial property law and the property consequences of registered partnerships which will be published this autumn (2018). She also gives lectures on those subjects to lawyers, notaries and judges in the Netherlands and is regularly invited to speak at (international) conferences. Marta Gomes graduated in Law from the University of Lisbon in 2002. She began work as a lawyer providing legal advisory services in Civil, Commercial, Criminal, Insolvency and Real Estate Law. 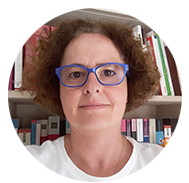 In 2005, she graduated in access to registry and notary practice from the University of Lisbon and since then has been working in this context. In 2009, she opened her own notary office in Cascais. She issues notarised acts, mainly in rights in rem, contract, family and succession law, preparing prenuptial agreements for the choice and establishment of matrimonial regimes, property distribution by divorce and by succession, certificates of succession and inventory proceedings. 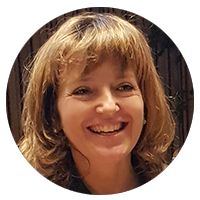 Throughout her career, she has attended specialisation courses in notary practice, in Rome and Buenos Aires; she participated, as a speaker, in the 28th International Congress of Notaries in Paris (UINL) and she collaborates, as a trainer, in practical preparation courses for new notaries in the Portuguese Notaries Chamber. She is currently developing private international law skills, an area she considers essential for the new challenges ahead. Tamás Balogh is a legal adviser of the Notary Institute of the Hungarian National Chamber of Civil Law Notaries. He provides comprehensive legal advice to Hungarian civil law notaries in questions relating to private international law and international procedural law, particularly in succession matters. 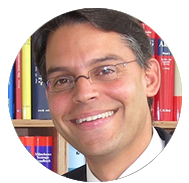 From 2006 to 2015 he worked in the Department of Private International Law of the Ministry of Justice of Hungary. As a government delegate he regularly attended working party meetings of the Council of the EU. 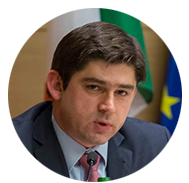 In 2011, during the Hungarian EU Presidency, he was the Vice-Chair of the working party responsible for the elaboration of the European Succession Regulation. In the first half of 2018 he was a member of the Expert Group on the Modernisation of Judicial Cooperation in Civil and Commercial Matters (Revision of Regulations (EC) 1393/2007 and 1206/2001).